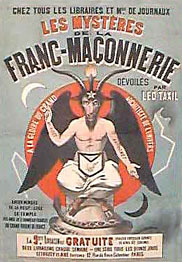 Léo Taxil (1854-1907) [pen name of Marie-Joseph Gabriel Antoine Jogand-Pagès] purported to reveal the existence of "Palladium," the most secret Masonic order, which practiced devil-worship. He recounted the story of its high priestess Diana Vaughan; and ended by publishing the Memoires d' une ex-Palladiste after her conversion to Catholicism. When doubts began to spread, Taxil realized the time had come to end the deceit. In a conference held in Paris on April 19, 1897 he confessed that his goal had been to hold up Catholicism to derision. After Taxils public confession, Abel Clarin de la Rive expressed his disgust and recanted his writings on Diana Vaughan in the April 1897 issue of Freemasonry Revealed, a magazine devoted to the destruction of the Craft. 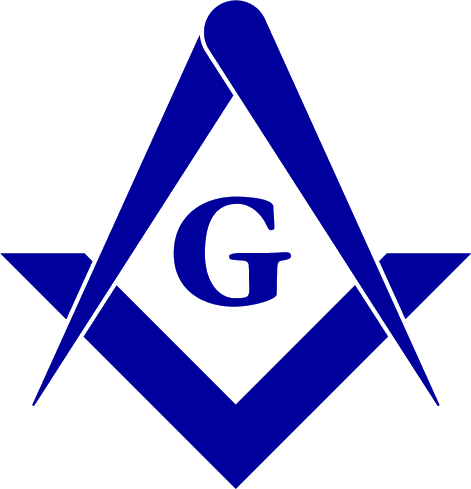 As much as he hated Freemasonry, de la Rive had the integrity to admit Taxils hoax. "With frightening cynicism the miserable person we shall not name here (Taxil) declared before an assembly especially convened for him that for twelve years he had prepared and carried out to the end the most extraordinary and most sacrilegious of hoaxes. We have always been careful to publish special articles concerning Palladism and Diana Vaughan. We are now giving in this issue a complete list of these articles, which can now be considered as not having existed." New Catholic Encyclopedia (R. Limouzin-Lamothe, s.v. Taxil, Leo). Quoted in Alec Mellor, Strange Masonic Stories (Richmond, Va.: Macoy Publishing & Masonic Supply Co., Inc., 1982), p. 151. Illustration dated 1886, original size 50" x 36".